Because we work with financial advisors and CPAs nationwide, we see a wide range of occupations that produce high income. And many of our entrepreneurial clients start their businesses as side gigs. In fact, the number of wealthy households in the U.S. reached a new high last year, one that’s equivalent to the population of Sweden. More than 10 million U.S. households qualify as millionaires, up 2.7% from 2018, according to a survey from the Spectrem Group. 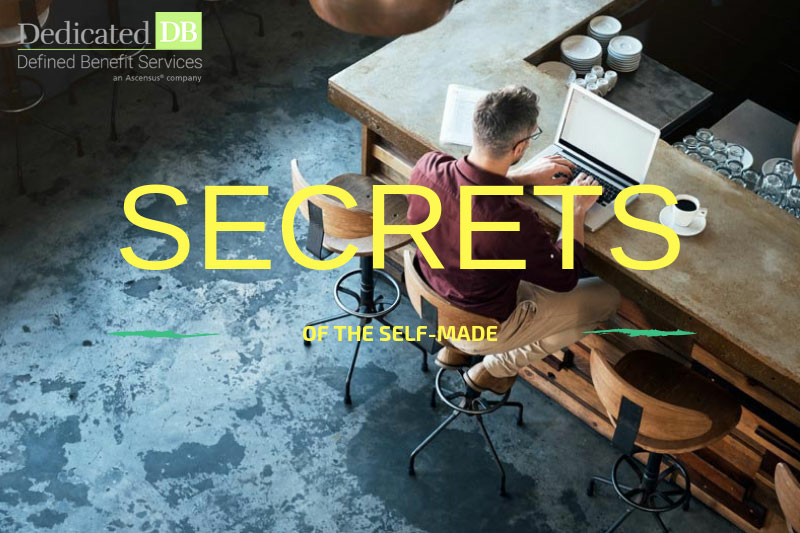 Here’s a roundup of secrets of the self-made, ranging from business disasters to daily habits for success to making your customers happy. The married founders of Epic Provisions, a company that sells energy bars and snacks made from meat, share lessons from their many missteps growing the successful snack business. The company was sold to General Mills in 2016 for a reported $100 million. The co-founders of Oxford Pennant, a design and manufacturing company, credit their success to happy customers and caring about their projects. Self-made multimillionaire and serial entrepreneur Scott Galloway says that life’s hardships should not deter your life. “Success is a function of your resilience over your failure,” Galloway says. The key to a productive day is all about what you do the night before. Here are some routines highly successful people do every night before going to sleep.